Kylie Jenner recently kissed goodbye to the over-inflated lip look that once made her famous, opting for a more subtle pout. The key to beauty is proportion, and rather than looking naturally hydrated and full-lipped, those who emulated her style often looked as though they were suffering from anaphylaxis. So what’s the next ‘big thing’ in lips? If demand in our Brisbane and Ipswich clinics is any indication, ‘lip lift’ surgery is growing in popularity among women who want to make changes to their lower face that lip fillers haven’t been able to achieve for them. The procedure involves an incision under the nose (usually discreetly located in the junction where the nostrils meet the upper lip). A small segment of skin is removed and the incision closed. The procedure results in a shorter distance between the lip and nose (this area of the face is called the philtrum), enhancing the cupid’s bow and helping the top lip roll outward more, making it appear larger and increasing the amount of pink (vermillion) lip showing. Results can be as subtle or dramatic as the patient wishes. In our clinics, lip lift surgery is also sometimes teamed with rhinoplasty, facelift surgery or chin augmentation surgery, to harmoniously rebalance facial features. Lip lift surgery is also known as philtrum shortening. It is a minor procedure, and can be performed under local or general anaesthesia. But it’s not for everyone; when patients are not carefully selected, the surgery can unbalance a face that already has good upper lip proportions. Lip lift also comes with risks and potential complications, such as prominent scarring, nerve damage, asymmetry and unnatural results that are difficult to conceal with makeup. Having lip lift surgery isn’t akin to having lip injections; while dermal fillers can dissolve in a relatively short time, lip lift results are more permanent. When unfavourable scarring occurs, a combination of laser and topical skin treatments might be recommended, to optimise healing and speed up scar maturation. 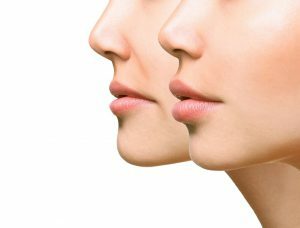 While lip lift is not a new procedure, a resurgence in lip lift surgery’s popularity is being noted across the world, with women in their 20’s and 30’s primarily seeking a lip augmenting effect, while mature aged patients often find that the ageing process causes their upper lip to thin and elongate - with lip lift surgery creating small, flattering adjustments that can reverse unwanted changes. As the philtrum drops as we age, the top teeth become hidden and ‘mouth frown’ can occur. Lip liners and dermal fillers play a useful role in improving the appearance of aged, thinning lips, but trying to using these tools to turn a curled-under lip out - or to reduce the length of the philtrum - can create an over-filled, heavy ‘duck bill’ appearance. In this way, dermal fillers are often over-used, as injectors try to shorten the appearance of the philtrum or achieve the rolled-out lip look, when surgery is actually required. As a lip lift can be performed under local or general anaesthetic, the total cost can vary significantly, as hospital admission and general anaesthetic adds to the costs. If you are considering this procedure, talk to a qualified plastic and reconstructive surgeon that is a Fellow of the Royal Australasian College of Surgeons (denoted by the letters FRACS after their name) to obtain a full facial assessment and ascertain if it is right for you.